Many people set out blogging with the goal of doing it consistently and regularly, but this can be a challenge. This is where a blogging editorial calendar comes into play. This type of calendar lets you write and set up posts for future times. The posts will then automatically post at the time that you set. Trello is a powerful organizational tool that you can use to make the process of creating a blogging calendar much easier. 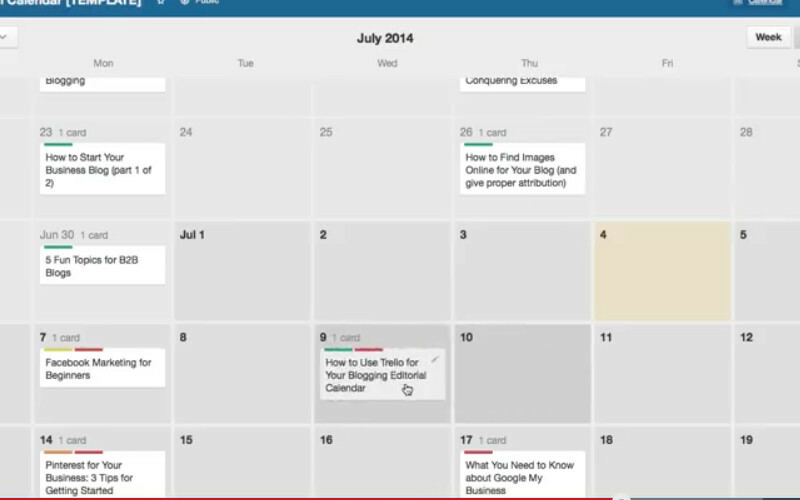 This great tutorial video shows you how to successfully and efficiently create a calendar like this using Trello.